Lefties have excelled at both ends of the scale – the very good and the very bad. They seem to make exceptional leaders, inventors, artists, musicians and murderers! Left-handers have achieved greatness in many walks of life, but particularly in creative, sporting and artistic fields, where their natural talent for lateral thinking and ingenuity have made a huge contribution to all our lives. 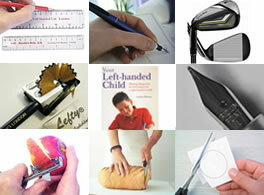 If you are left-handed then you are in very good company! This is our list of famous left-handers – with over 1,000 people we think it is the most comprehensive on the Web. The list is based on our research and reports from Club members, but we know we are not perfect. If you spot any errors in our list, can provide any further information or have any famous left-handers we should add to our list, please add your information as comments to these pages. The list contains well over 1,000 left-handers and is divided into 4 sections as below. Click on any of the links to go to that part of the list. If you spot famous left-handers we’ve missed, please add them as a comment at the bottom of this page. There have been a lot more left handed United States presidents than you would expect. So, 5 out of the last 7 presidents have been left-handed! Matt Groening, creator of The Simpsons, is a fellow lefty and he made his lead character Bart Simson left-handed as well. 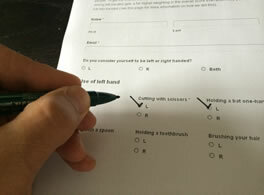 Use this link to see our article on left-handed cartoon characters and the many comments we have received on it. THANKS FOR THIS SITE. I THINK I AM GONNA INTRODUCE IT TO MIKE, A FIINE 17-YR.OLD-WHO HAS BEEN COMPLAINING ABOUT THE BAD SEATING CONDITIONS AT HIS SCHOOL,CATHEDRAL CATHOLIC SCH.FOR THE LAST THREE OR MORE YEARS. EVERY TIME HE COMPLAINED, THE SCHOOL AUTHORITIES ALWAYS CHANGE HIS SEATING–FOR THEM? LEFT HANDED PEOPLE DON’T MATTER!! 1 Pings/Trackbacks for "Famous left handers"